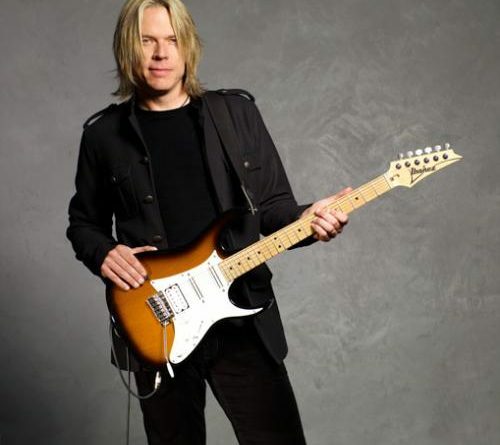 Few guitarists are as renowned and respected as Andy Timmons. An outstanding player and a genuine nice guy. And a tone as big as the State of Texas that Andy calls home. 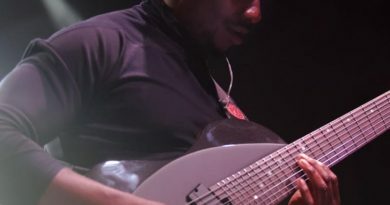 To help Andy get that tone, he uses the DiMarzio AT-1 bridge humbucker in his main weapons of choice from the Ibanez AT series. An interesting note is that there have been alder bodies and there have been mahogany bodies among the different AT series throughout the years. Andy made his name in the late 80’s with the hard rock band Danger Danger. And then became even bigger as a solo artist. If you want a real treat, check out Andy’s work on Kip Winger’s “This Conversation Seems Like A Dream” album. Prior to the 2001 public debut of the DiMarzio AT-1, it was only available in the Andy Timmons model Ibanez guitars. In the years before that, there are mostly rumors about what Andy was using. Some say a Seymour Duncan JB Model with a 250k pot. 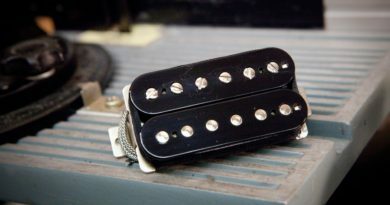 Others suggest a JB with an Alnico 2 magnet. I’d personally lean toward the 250k pot theory. With that in mind, you might have an idea of where things are headed with the AT-1. Healthy lows, strong mids, deep highs. DiMarzio reaches the goal with some of their “patented technology”. In this instance, it’s the “airbucker” and the “virtual vintage” tech. What are those? The short versions are that the “air” tech reduces the magnetic field by adding space (or “air”) between the magnet and the poles. 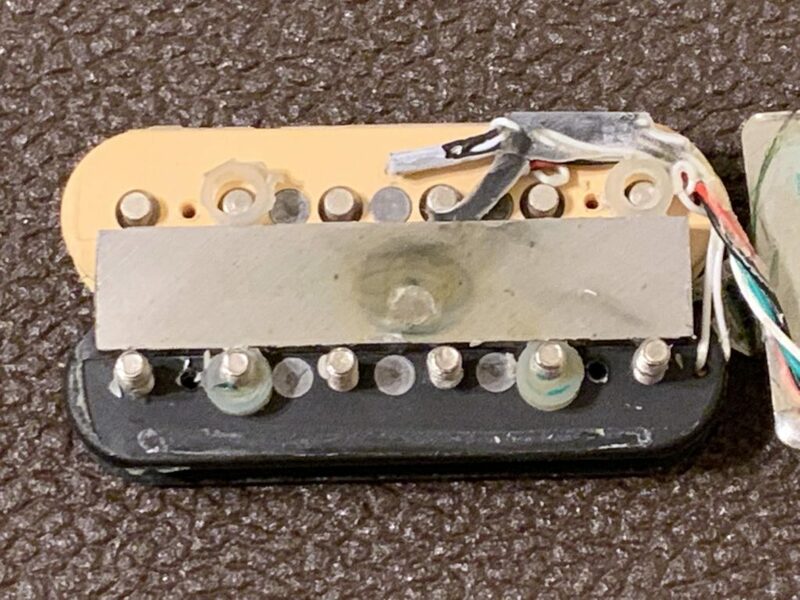 The “virtual” tech increases inductance by adding “special slugs” into the bottom of the coils between the existing slugs and screws that you can normally see from the top. 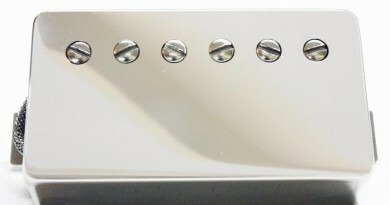 The sharp-eyed will also notice the screw poles are a little shorter than what’s considered “standard”, which will tighten up and focus things a little bit. I have tried the AT-1 in a few setups. One with a basswood body and maple neck with a maple board. Another with a mahogany body with a maple neck and a rosewood board. I also put my old tube pre-amp to work as well as the Fractal Axe-Fx II XL+. All tunings were E standard with 09-42 strings. The AT-1 is a really darned well-rounded offering. The low end is big and strong and does not mush out so that riffs will hit you in the chest. The authoritative roar of the mids and the strong presence of the highs define chords and give solos a foothold. One of the few bridge pickups that DiMarzio classifies as ‘medium power’, the AT-1 has a voice that makes it feel like it’s much closer to higher output. It does clean up will with the volume knob, but your own taste will define if you might should tweak your amp or seek out a split or parallel wiring options. The AT-1 is going to be good for all types of rock genres, focusing on hard rock. It’s also versatile enough for instrumental rock, pop, country, and R&B. You can find the AT-1 in pretty much the full range of DiMarzio colors with standard and f-space options. Available pole piece selections are nickel, gold, and black. 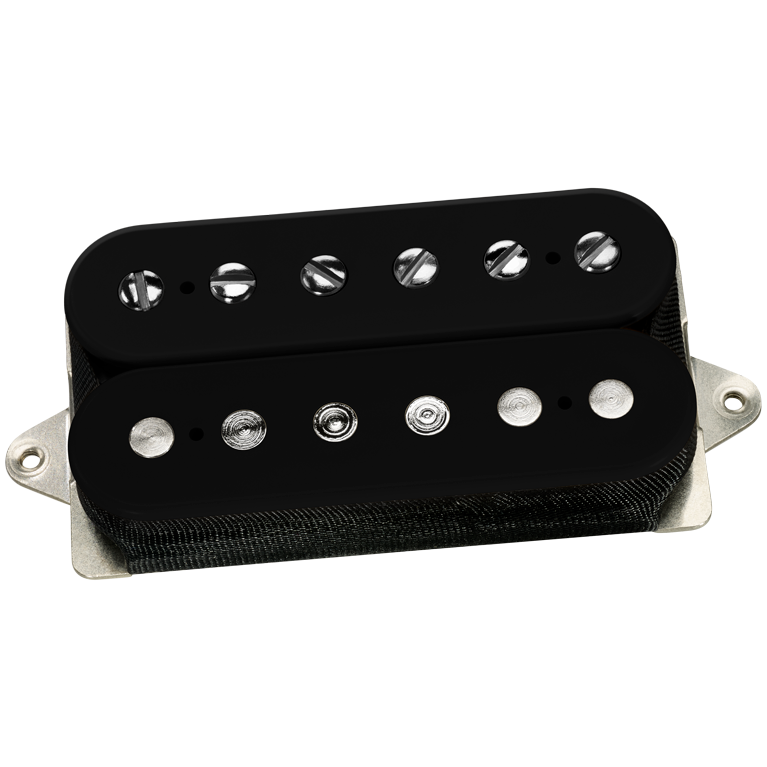 For reference, this DiMarzio AT-1 DP224 humbucker pickup evaluation was conducted with a Fractal Axe-Fx II XL+ featuring Celestion Impluse Responses and Fractal MFC-101 MIDI Foot Controller. Real cabs used were Marshall 1960B cabs loaded with Celestion G12-65s, Vintage 30s and G12M Greenbacks.